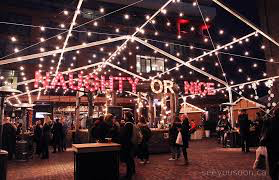 It indeed is the most beautiful time of year, and the distillery transforms itself from a typical market downtown to the most lit up and wonderful market throughout all of Toronto. They create a fairy tale land of everything Christmas, starting with the trees and Christmas lights, going all the way to the novelty that visitors can bring home many including nativity scenes and little stars. To the many lit up signs including references to Christmas songs. They have created this market to be a break from our real lives and to assist people in getting into the Christmas mood. They welcome people with open arms, allowing many visitors to get into the holiday spirit, they allow photos and have many lights and areas set up specifically for photos. Many people are not a fan of the winter season due to the excessive cold and earlier darkness. 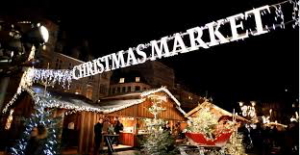 This Christmas market gives people something to look forward to every year, and they continue to offer their exquisite restaurants and many little market stores; they offer it in a winter wonderland version. You feel yourself entering a different world when you pay your yearly visit to the distillery.